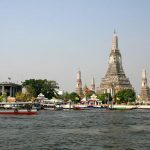 Over the past few decades there has been a great deal of development in Thailand: some of it welcome to improve living standards and the economy at large, and some with an unwelcome negative impact on wildlife, forestry and Thailand's beautiful islands. Mass tourism has peeled away at the seductive lure of beaches like Chaweng in Koh Samui and Karon in Phuket, and as such, seasoned travellers are now on a mission to seek out unspoiled, off-the-“Lonely-Planet”-track beach getaways instead. 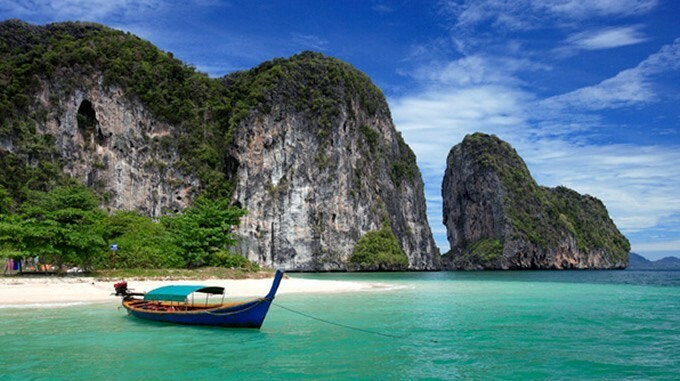 There are a number of government initiatives to preserve Thailand's natural beauty, and many of the hundreds of islands are currently off limits to visitors. But fortunately there are still a few precious gems to be found that aren't overrun by sun soakers and beach hawkers. 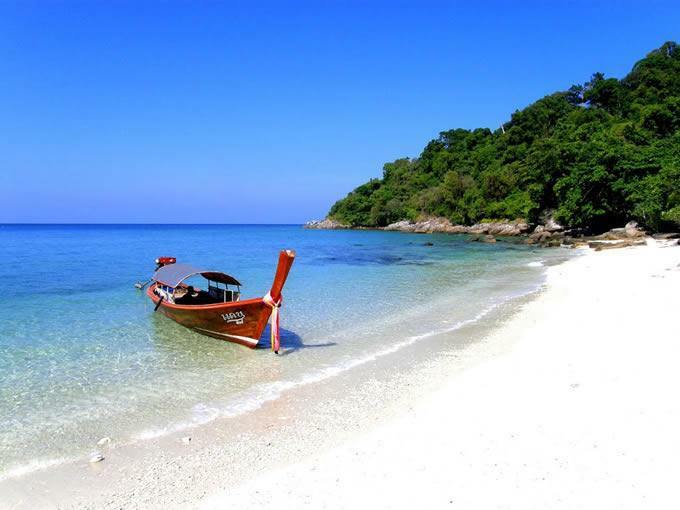 In this post I give you fourteen of the very finest, unspoiled island beach getaways in Thailand. Shhh, don't tell anyone. Whoops! This is actually a chain of nine islands a shade over sixty clicks from the mainland. 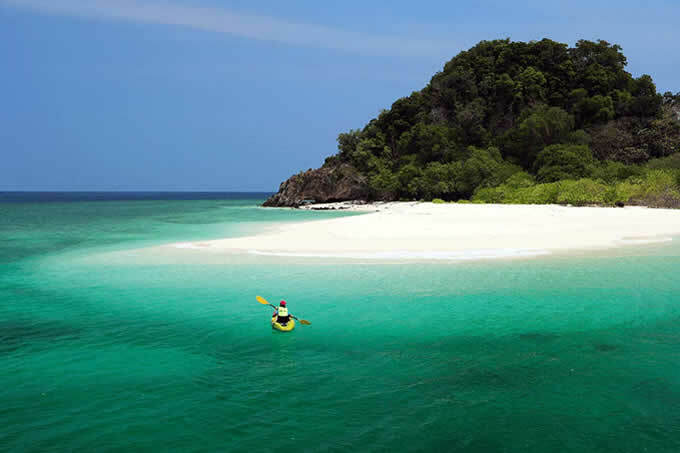 The largest of these is conveniently also called Koh Similian and is the island that has a place to eat and a campsite. Apart from these amenities, this is a place of nearly untouched natural beauty- although it is becoming more popular, so get there asap. 30 metres of viewing depth underwater and 5000-year old reefs make for an ideal location for diving which has led to restrictions being enforced on visiting; particularly during the monsoon season and turtle breeding season. Travel by boat from Thap Lamu Pier, in the Thai Muang district of Phang Nga province. Fifteen minutes by longtail boat from the west side of Koh Tao is the privately owned island of Koh Nang Yuan. Before we turn our noses up at brazen capitalism, this has meant that a charge of 100 Baht levied to visitors goes towards the upkeep of the island. Strict rules prohibiting plastic and glass are in effect, so despite its popularity the island remains in perfect condition. Technically you could stay at the Nang Yuan Resort, but it is pricey and for the traveller there are better options on Koh Tao. 150 square kilometres of land, with a seven hundred metre high mountain at the centre and surrounded by the Koh Tarutao Marine National Park, Tarutao- has the national park status which means developers are kept at bay. Weirdly enough, up until 1948 the island was a maximum security prison, entrusting the shark infested waters to dissuade prisoners from escaping. 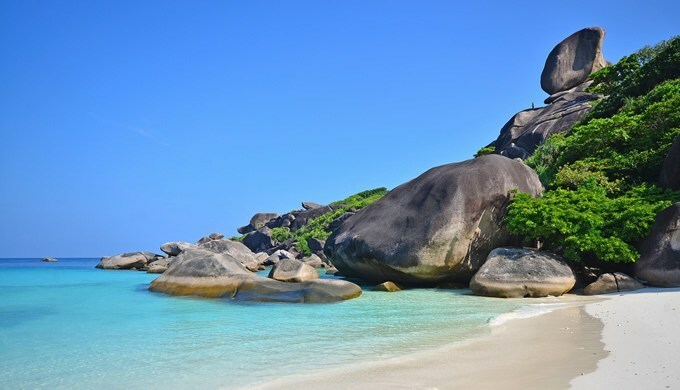 Located near the Malaysian border, and with the nearly deserted Koh Tarutao on the doorstep, Koh Lipe has seen some development over the past few years. It has thirty-five hotels, two hospitals and even WiFi. That doesn’t mean it is an urban centre- far from it, but it is relatively busy. Bookings are hard to come by between December and March, but if you can grab a place it’s a great island base from where the archipelago is easily explored. Known as “Golden Buddha Island” after a legend involving, yes, a golden Buddha that is buried somewhere on the island, you would be wiser to eschew material wealth and enjoy the nature. You know, like Buddha would have done. There are few finer places to do that than here- especially if you’re into diving. The Surin Islands which hosts a multitude of colourful tropical fish species, and the broadest diversity of hard corals in Thailand is close by, as is world top ten dive site Richelieu Rock. Koh Phra Thong also boasts 15km of deserted white sand beaches and is so undeveloped the accommodation bungalows are right on the sand! 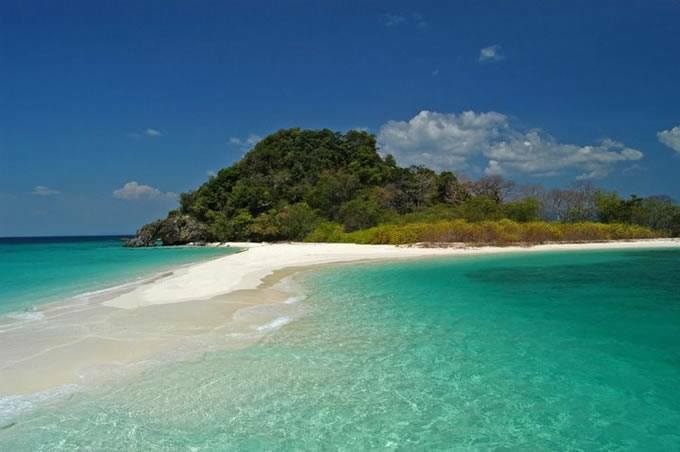 Neighbouring Ko Lipe is Ko Adang, but unlike its neighbour, Adang remained almost entirely undeveloped and covered with forest. As with the rest of the Tarutao islands, everyone arrives via long tail from Lipe. The island is uninhabited, although a small community of Urak Lawoi sea gipsies maintains a settlement. A 15oft high cliff and spectacular waterfalls are stand out features of this hidden gem. 2okm offshore in Trang Province lies Koh Lao Liang. This is one of, if not the most tranquil places on Earth. Part of Mu Ko Phetra National Park, no trees can have been cut down on the island, concrete is strictly verboten, and the waters teem with dolphins and fish of all kinds. Limestone cliffs provide climbing experiences, and there is also the usual kayaking and snorkelling to be done. Whatever you do, it is done in surroundings that can only be truly described as paradise. With just one place to stay on this tiny island (and that being in large nylon tents) this place is truly for the isolated feel. 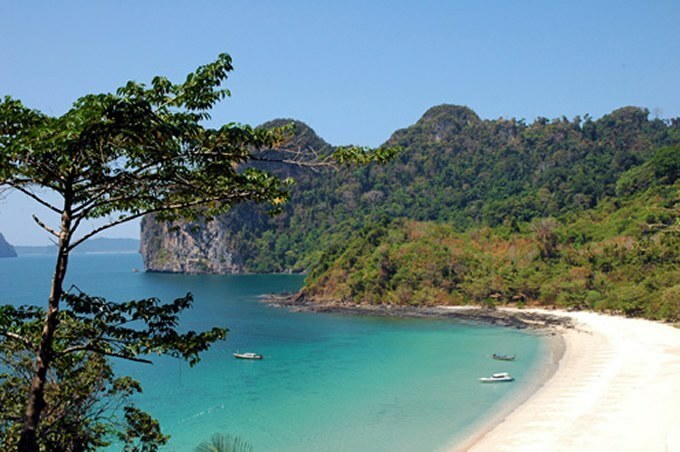 As per for the Andaman Sea, the beaches are white, the waters are teal and full of life. It is only open in the high season though, so book in advance. Not far offshore from the Cambodian border is Koh Kood. Lying an hour by boat off shore there are plenty of places to stay- homestays and budget hotels, by and large. 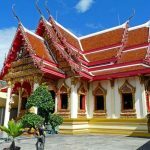 It is the fourth largest island in Thailand, so there are actual villages and permanent residents here, unlike some of the smaller islands on this list. This means that this 105 km sq island is well suited for a week-long stay, to relax and take in the natural paradise around you. Nam Tok Khlong Chao waterfall is not to be missed. Another Taratao island here, virtually untouched by such irrelevancies as WiFi and electricity. A 15-minute walk from end to end, and populated by the friendly Chao Lay (fishing people) and the slightly less friendly monitor lizards – who aren't exactly nuts about people – are a metre long with powerful jaws. Luckily they are not particularly aggressive unless attacked. The jungle teems with life and flowers and is kept spotless by the inhabitants. 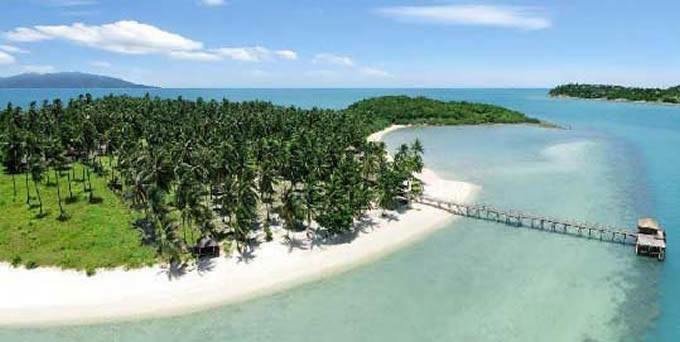 This tiny (1 square km) neighbour of the famous Koh Samui is easily accessible by boat in only a few minutes. The snorkelling here is incredible, although it would be advisable to visit quickly- the island is currently up for sale, yours for a cool $3.8 million USD. 40km off the coast and accessible from Laem Ngop Pier near the city of Trat lies Koh Mak. People are vastly outnumbered by palm trees and aquatic life , so getting close to nature while still having a hotel room is the order of the day here. There’s minimal nightlife on the island, so don't expect a good old knees-up every night- more a pensive stroll listening to the waves caress the shore. 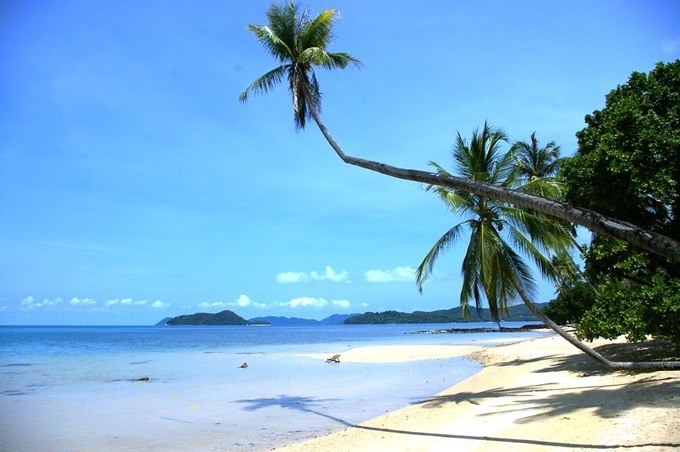 Koh Mak has one of the top ten beaches in the world according to The Times. Unlike many islands in the area, Koh Libong is not particularly aimed at tourists- you will be in a distinct minority here. There are four resorts on this large island, but beach lovers may be disappointed by the slightly coarser, darker sands. That’s not what Libong is about though. Libong has the best chance to see dugongs in the wild, which are a relative of the manatee. There’s also an extensive jungle to explore, but the main game on Libong is relaxation, eschewing of the tourist trail and peacefulness. “Egg Island” is so-called thanks to the breeding grounds of the sea turtles. As such, overnight stays are prohibited, and with no freshwater on the island, it is strictly a day trip only affair. 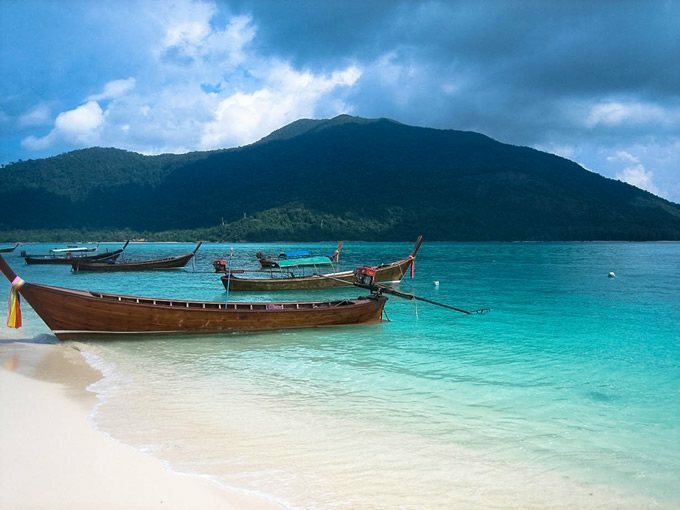 Fifteen kilometres from Ko Tarutao means once again, travel from Koh Lipe! This island is surrounded by eggshell coloured beaches and features a naturally formed arched rock formation. 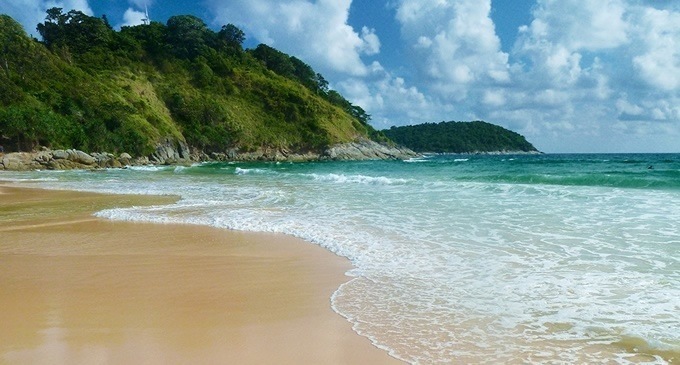 Considering this beach is on the otherwise well-developed Phuket, Nai Harn is almost entirely left alone. This is down to the Samnak Song Monastery being right on the beach, and the monks are rightfully left in peace. The beach is popular with surfers chasing breakers off the reef, and it's bay-like appearance makes it great for paddling in the shallows. Careful though (sunbathers), there’s almost no cover from the sun on the sands at all. For better cover, and a somewhat busier but still amazing beach, check out Bang Tao, or even Kamala. Went to Koh Bulone Leh last year and the beaches aren't that beautiful. The water is clear and a couple of bars provide cocktails and beer, not musch to do after a night or two, so don't book 5 nights like I did. I escaped, bored shitless, after 3.There's wifi and the power doesn't work between 6am and 6pm.I went alone assuming there would be a few single people to 'hang' with but it's mostly honeymooners, families and couples.There are far better islands than this, so be warned. Beaches aren't pristine and you'll soon exhaust the couple of decent eating options.Highlight is the Coconut bar, carved out of the jungle, whose owner Chit is a friendly, chilled out guy. Thanks for the insight Pat. I've not made it there so perhaps I won't bother. I did assume it would be more a honey-mooner's destination. At least the power out at 6pm would encourage me to sleep early. It reminds me of days past in Samui during power cuts when the only option was to sleep. It brought welcome rest for my body! Lmao bored shitless, I can appreciate the passion. Nothing ever stays sacred for long! Which places in the list would be pleasant to visit during January month. The last one, Nai Harn Beach in Phuket. It will still be high season, so no rain yet. Try Bang Tao beach too, if you want somewhere family orientated with lovely sand. 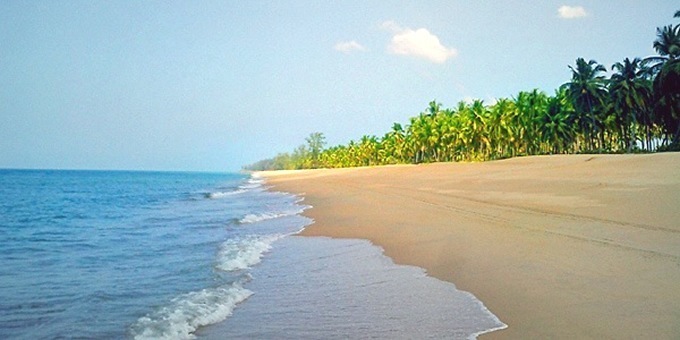 I miss Khanom Beach in this list ? Yes, that is a beauty, but becoming more well known now!. I have a Thai friend from there. A lucky place to be born.